Sugar Casino Affiliates is the affiliate program for Sugar Casino offering up to 40% revenue share. If they’re looking for a new online casino brand to promote, affiliates might want to give Sugar Casino Affiliates a try. Joining the program will allow them to promote the Sugar Casino brand. 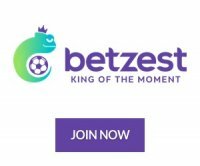 While relatively new, this online casino has been providing players with a unique casino gaming experience. This is thanks to the brand’s reasonable bonuses, promotions, as well as its varied casino games. Additionally, the fact that it’s targeted at affluent markets like Sweden and Norway means that affiliates are more likely to enjoy rewarding commissions by promoting the online casino. Through the Sugar Casino Affiliates program, affiliates stand to receive anywhere from 25% to 40% of the revenue generated by Sugar Casino from their referrals’ transactions. While the program does provide sub affiliate links, these do not track impressions or clicks. Additionally, the program doesn’t seem to have indicated a commissions structure for referring sub affiliates. Sugar Casino Affiliates currently offers support for these payment methods: Skrill, Neteller, Paypal, Bank Transfer, Player Account, and Visa. The program processes pay outs through these payment methods on the 15th of the month (for commissions earned in the month prior). Of course, this is if the affiliate’s commissions reach the minimum pay out threshold of €100. In the event that the affiliate fails to accumulate commissions equal to this amount then the program will defer the payout for the succeeding month or until their earnings are on par with the €100 minimum. The Sugar Casino Affiliates program currently makes use of the Gofiliate affiliate management platform. After they’ve registered for the program, affiliates will have access to a wealth of marketing materials by logging on to their affiliate dashboards. Under the media tab, affiliates can get banners, text links, newsletters, and sub affiliate links that they can then use on their affiliate sites. In terms of monitoring, the Gofiliate platform allows affiliates to have real-time access to metrics such as impressions and clicks, earnings, signups, as well as net revenue. If they want to go into the nitty-gritty of their campaigns then affiliates can also use the platform to generate detailed reports that they can then use to gauge how effective their strategies are. Sugar Casino is an online casino brand that started its operations in 2015. It is currently owned and managed by Gammix Limited and is marketed mainly for players residing in Norway, Sweden, and Finland. Players who are new to the online casino are welcomed with a generous bonus package that can go as high as €300. In addition to this, the online casino has midweek and monthly bonus promotions to go along with a Refer a Friend program. As for casino games, players will surely enjoy the newest and most popular titles from developers/publishers such as Betsoft, Isoftbet, Ezugi, Slotmotion, One Touch, Pragmatic Play, GameArt, Evolution, HollywoodTV, Xplosive, Microgaming, and NetEnt. The online casino currently has a license to operate issued by the Government of Curacao through Curacao eGaming.